I totally agree – Arnold’s autobiography is a real inspiration. A great analogy is how Arnold says “the last 3 or 4 reps is what makes the muscle grow. This area of pain divides the champion from someone who is not a champion.” The obstacle – the pain of those last few reps – literally is the way to build muscle. Without that pain, you’ll get nothing. I also love the fact that he was already a millionaire before he even won Mr Olympia for the first time thanks to his property investments and fitness/construction companies. Unfortunately when I try to tell people all this I just get is funny looks or people saying “Get to da choppa.” Arnold isn’t really appreciated as much here in the UK. Great article and even better book! One thing I just wanted to mention, he has said it wasn’t that he didn’t like soccer but more that he knew that he would never be the best at it and also that he wanted the personal accomplishments associated with bodybuilding than the group accomplishments with football. Good post, Ryan. Arn9d is the very definition of seeing challenge as opportunity and could easily slot into the book. I have been a fan since I was 12 and have a solid understanding of his biography and you have hit all the notes. A quote I have often heard him use in interviews sums it up best: “Whenever anyone tells me no, I hear yes.” Pure and simple. Awesome article. Just a little correction though. This is false. That statement is created in Pumping Iron. Arnold had this from another bodybuilder, who did not attend his fathers funeral, because it was in the midst of contest-prep. Arnold then adopted this, among other things, to fit his slightly exaggerated character in Pumping Iron. Yes you are right. I own a copy of pumping iron and Arnold does mention that the feature took some artistic liberties while portraying his life story. Sr Arnold,eu sou seu fã a mais de 25 anos,porém não só pelos seus filmes ,mas pela sua história de vida,e sei que você é um grande exemplo para muintos e para mim, tanto que aos seus 66 anos,continua em plena forma física e dá de 10 em muintos jovens por ai! Parabéns! 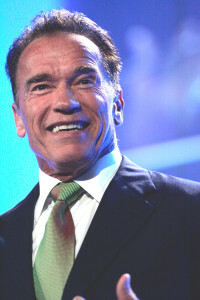 Thanks to all well i am too a fan of Arnold he is true motivation and a inspiration. He his a true legend of ups and downs of life. Totes – loved this book. Glad you mentioned him Ryan, Arnold is one of my heroes! Arnold Schwarzenegger is a legend that has achieved so much success in his life: bodybuilding champion, heroic actor and celebrity politician. Great insight into the obstacles that he had encountered on his journey to greatness. Arnold is the reason why I too, moved to Hollywood to chase the dream from a small world country. Schwarzenegger announced he would retire from bodybuilding. Obstacles or struggle is everywhere. Thanks for the positive words.